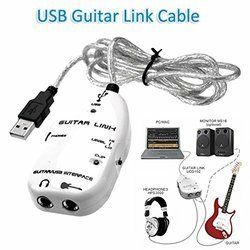 USB Guitar Link Cable is the ultimate guitar to USB interface to jam and record with killer modeling Amps and effects. Plug in your favorite guitar and turn your PC or Mac computer into a guitar amp and recording system without the need for any other hardware. Guitar cable with Neutrik silver connectors. New and improved California Cables are here! Fender® has the right cable for the job in a variety of vintage colors. Available in 10' & 18' lengths with a limited lifetime warranty. Quality cables at an affordable price! 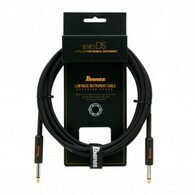 SPECTRA GUITAR CABLE with Straight to Straight Neutrik NP2X Lifetime Plugs.